1) It was my birthday on Wednesday. I was 32! I had a day off from working so I didn’t have time to post that it was my birthday – those on Twitter may have caught on though. Mr AMR bought me a mini iPad, lucky old me! I haven’t even had a chance to set it up yet, I’ve been so busy, but I might have a tinker with it today. 2) HAVE you been to the latest incarnation of the Chanel Pop-Up store in Covent Garden? It’s amazing! You can see it in my vlog below – I can’t believe how beautifully kitted out it is inside. It would be a prop-collector’s paradise. There are snow-globes and giant No5 bottles and I had to literally be dragged out of there. If you’re visiting London then do go – they have complimentary gift-wrapping until Christmas with handwritten notes and amazing boxes and sequinned camellias! If you can’t get someone to buy something for you then it’s a definite “gift to self” scenario! 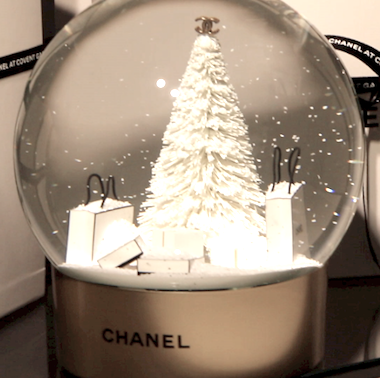 Can I just say: if EVER I wanted something for my desk, it’s a Chanel Snow Globe. Look at the miniature bags in there around the snowy tree! 5) Right, here’s the Birthday Video, complete with jewellery browsing and Chanel-Shenanigans. If you can’t see the video pane, then please click here. What I wore: my coat is a cashmere Burberry coat, I’ve had it for a few years now. Dress is Donna Karan, I bought it in the Net-a-Porter sale in the summer and that’s the first time I’ve worn it! I also had on grey wool leggings, black Wolford socks and my old Belstaff boots. Previous Post Pinch, Punch, First of the Month and my Reverse Brazilian. 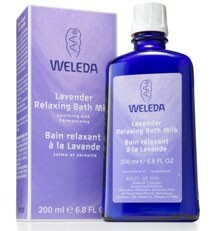 Next Post The Body Shop – Christmas and Memories and 50% Off!